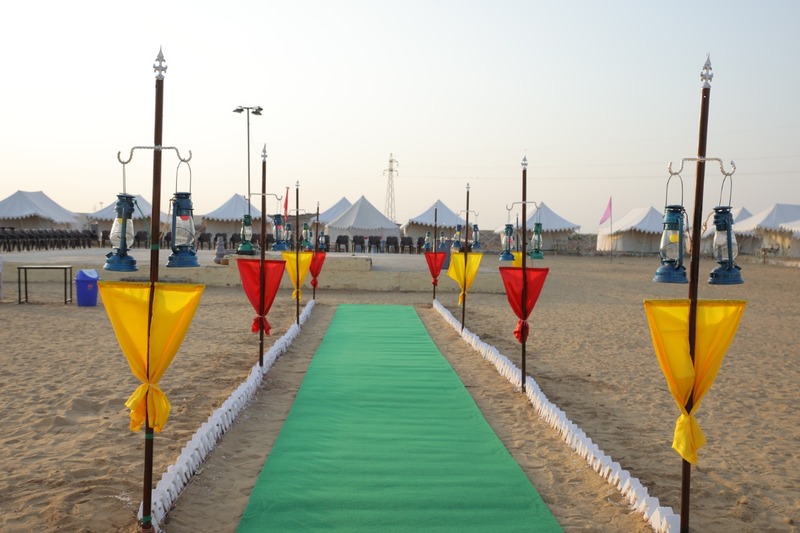 We provide you with a complete Rajasthani desert experience Included in your one night package for two is a camel trek to the dunes to watch the sunset, luxury air conditioned Swiss tent accommodations, local folk music and dancing with appetizers and chai, followed by dinner, and breakfast the next morning.ome join us for an unforgettable luxury desert experience. 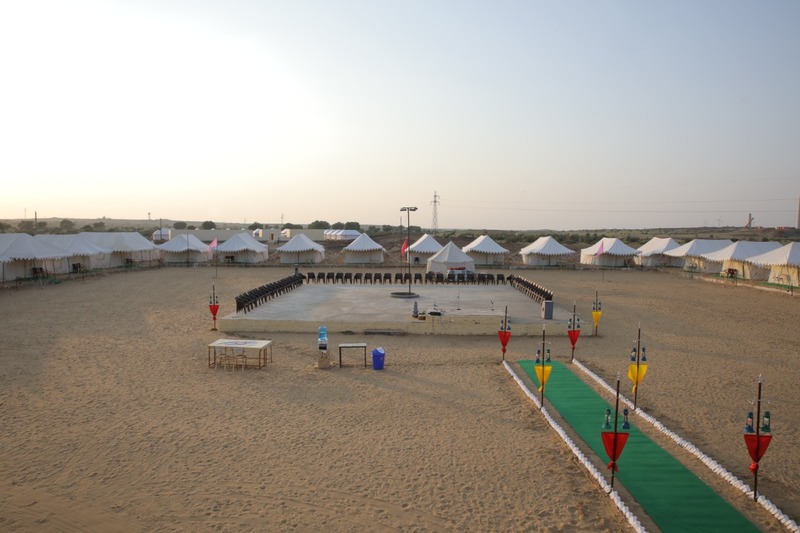 Camp In Jaisalmer is one of the larger Jaisalmer tented camps, with 45 tents.It's also one of the more luxury camp near the Sam Sand Dunes Jaisalmer with attractive interiors and bathrooms in the luxury tent. 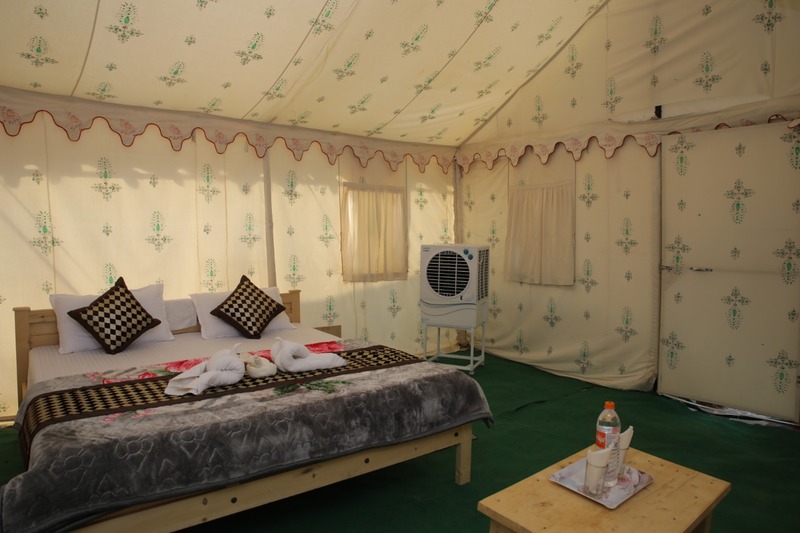 We provide fenced in and guarded tent has fixed quality luxury camp .Net panelled windows, which allow a free flow of fresh air and enclosed with palm fronds,provide protection against the elements. 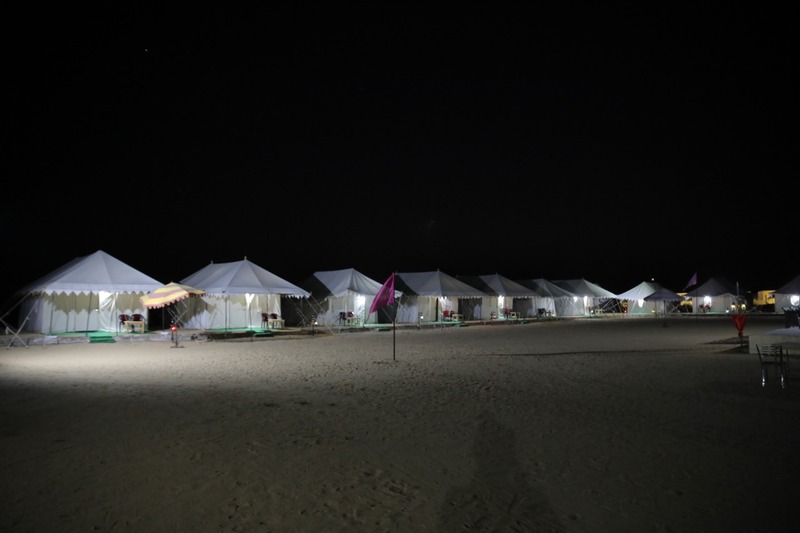 The spacious luxury tents are fitted out with electric lighting, and two single beds with mattresses and bedding.